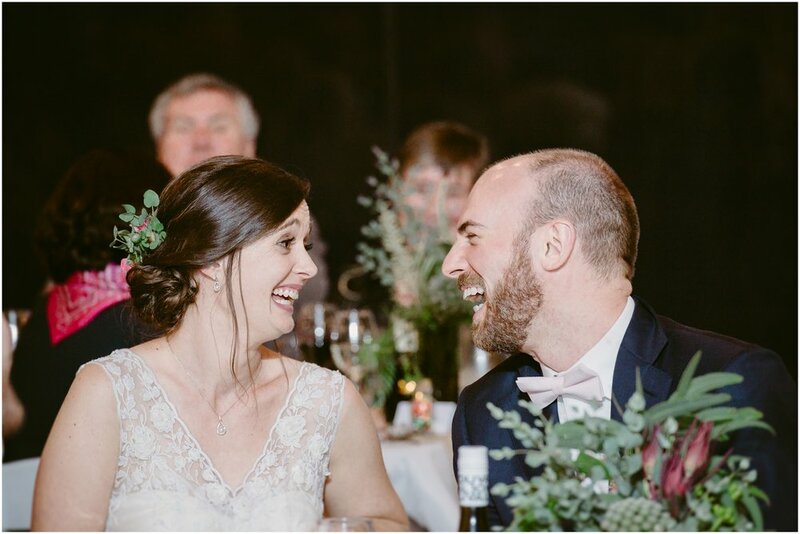 Thank you so much for these beautiful photos, we absolutely love them! We had such a fun wedding day and really appreciate all your help. Seeing these photos brought back such happy memories and it was great to see some extra detail where we couldn't be present (such as seeing each other getting ready). You guys were just great and made us feel completely comfortable and at ease throughout the day. It really shows in the photos which look so natural - a real achievement for two people who are generally quite camera shy! I have no doubt we'll treasure these photos forever! 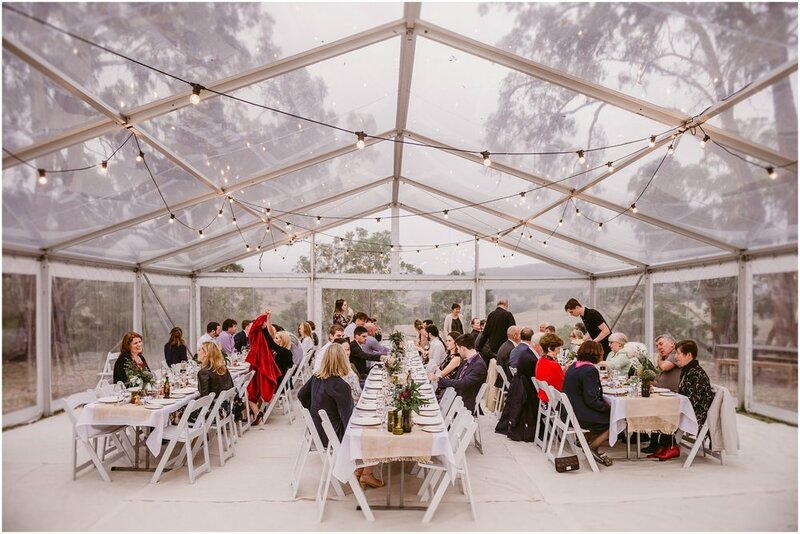 Em and Adam's Blue Mountains Wedding was such an unforgettable event - everything was absolutely perfect! Mere and I arrived in the Blue Mountains the day before Em and Adam's special day, we were absolutely lost in the sheer beauty of the landscape and how incredible everything looked. Fast forward to the next day - Dryridge Estate is beyond spectacular. 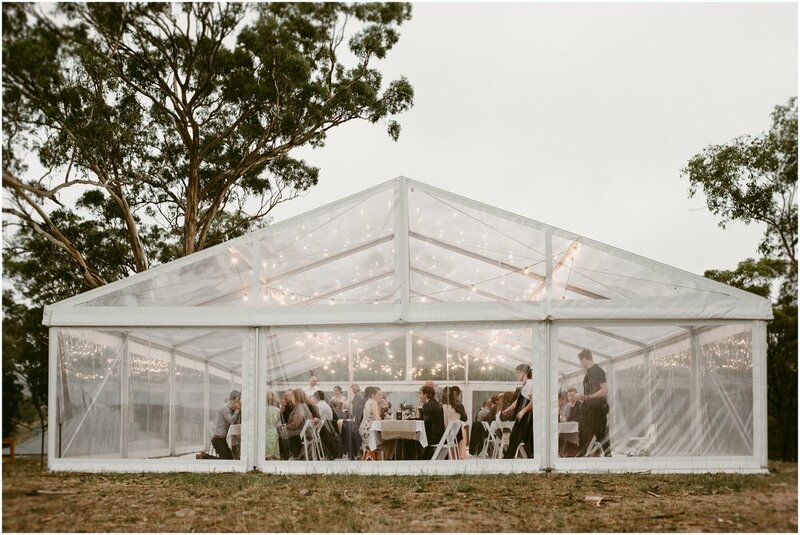 The views, the on site accomodation, the marquee - everything about Dryridge is A-M-A-Z-I-N-G. Em and Adam could not have picked a more perfect spot to tie the knot. The Ceremony (officiated by the wonderful Evelyn Calaunan) was held overlooking the mountains and vines, Mere and I both were also ridiculously in love with the little ring bearer for the day - the newlyweds little fur baby Mac! That little fluffy face was full of energy and so excited that mum and dad were getting married. The Reception soon followed, with each of the Bridal Party being introduced as a different fine wine (such a cool idea!) and their family and friends enjoying each others company and some absolutely delicious food well into the night. A huge thank you again to Em and Adam for having Popcorn there to capture all of these unforgettable memories - we feel so lucky to have been a part of it all.